Stuart Barnes says England's first two Six Nations performances have made them one of the World Cup favourites. 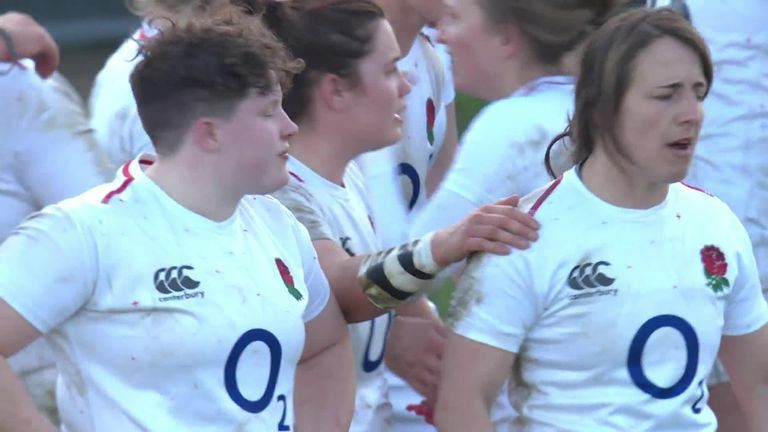 We are, of course, considering the women's Six Nations where the two nations are head and shoulders above any other European side. The French women played some good stuff in the first half but England were even more incisive and, above all, ruthless in taking their chances. Warren Gatland's team were hardly impressive in Paris, France playing their giant-sized part in a comeback after an abysmal first 40 minutes for Wales. The worst Martyn Williams said he could remember. In Rome, they were not much better but Wales fielded a much-changed team and gave nothing away in terms of how they will approach England. If England produce a third defining performance, they'll not be far from favouritism for the World Cup. And the Grand Slam will be within their grasp. Throw Elliot Daly's exquisite left boot and Henry Slade's into the equation and England possess a trio of backs able to pass and kick with equal accuracy. This makes it incredibly difficult for opposition defences to decide between rushing and holding back for the kicks that will turn them. 5. The obvious beneficiary is Johnny May who is on quite a scoring spree. He knows when his team mates will kick, they know he'll be out of the traps like a greyhound. The net result is a hat-trick inside half an hour. There wasn't much doubt who TV would choose as man of the match. Jones is garlanding him with praise but made the point May has to maintain these standards because of the quality of options in the back three. As a Saracen, he understands Farrell while the England skipper will have a few of his own thoughts on what makes the Welshman tick. And then there's the fact that Elliot Daly is set to become a Saracen. Now England's game-changing full back, is he going to revert to outside centre in club colours? Williams, Alex Goode and Daly are quite a set of full back options for a club. 7. On Saturday Ireland won without being particularly impressive. Yet this was a game where winning was everything for Joe Schmidt's men. Another defeat might have seen them starting to doubt themselves. With the World Cup on the horizon this is no time for internal question marks. Believe me, it seemed a long and cold second half from the vantage of the Murrayfield press box. With Conor Murray off form it wasn't Ireland at their controlling best but they did enough to put the pressure on Scotland ahead of round three and the meeting of these sides at the World Cup pool stage. 8. France have taken the art of the forlorn to new depths. 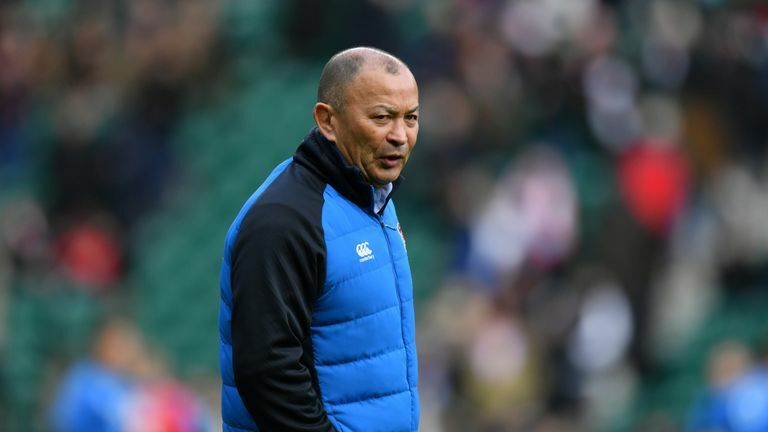 Their side is unstable in terms of selection and game planning, For the English match they dropped Wenceslas Lauret and recalled Yacouba Camara, leaving them minus a solitary `down in the dirt' type back rower. Leaving them without a workhorse to compensate for the work shy but undoubtedly dangerous Louis Picamoles. Shambles doesn't start to address their current predicament. Scotland lack bulk, France lack brain. It is a game Scotland simply must win given the presence of Wales and England as their last two opponents. Wales will be tough, England in Twickenham close to unwinnable unless things change dramatically between now and round five. 9. What will the Southern Hemisphere be thinking? They'll have taken keen note of England but, other than that, our hopes of one of the greatest Six Nations are ringing a little hollow. Standards are not what you would expect from a competition featuring the world's second, third and fourth rated sides at its start. 10. Italy? They keep going. They ran in three late scores against Scotland and scored a fine 'consolation' try against Wales but Scotland put them away with ease and stepped off the gas while Wales treated them with a certain degree of contempt, making so many changes to their starting line-up. After two games Conor O' Shea's team have done insufficient to convince me that a play off between the last placed team in the tournament and the winners of Europe's second-tier competition should not be a priority if the Six Nations isn't to look like an Old Boys Rugby Club.